The next generation Nissan Versa will officially be unveiled at the Tortuga Music Festival in Fort Lauderdale, Florida this coming Friday, April 12. The Versa Note’s discontinuation hardly comes as much of a surprise. In fact, we’re even a little surprised the Versa sedan is still sticking around. Sales for both have taken a hit as crossovers continue to dig into sedan and hatchback sales. Last year, for example, both the Versa sedan and hatchback suffered a 29 percent drop in combined sales, likely due in part to Nissan’s impressive crossover lineup, starting with the new Kicks, followed by the Rogue Sport, and Rogue. To provide you with a precise picture as to how much the Versa sedan and Versa Note were taking a sales beating by crossovers, a total of 75,809 combined units were sold last year. Last December, Nissan sold 42,000 examples of the Rogue Sport and Rogue. Last year’s sales for the new subcompact Kicks was also quite impressive, with a total of 23,312 units. What’s more, the Kicks did not go on sale until much later in the year. The writing is on the wall already that the Kicks is going to be a huge sales success. 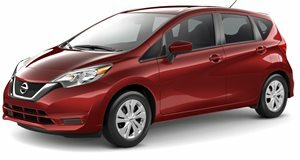 Let’s face it, consumers want crossovers today and traditional cars, in this case the Versa Note, are the victims. However, the 2019 Versa Note had one major thing going for it: affordability. It was one of Nissan’s cheapest vehicles with a starting price tag of $16,545. The Kicks, to compare, begins at $19,585, though it does offer more cargo space with nearly identical fuel economy.